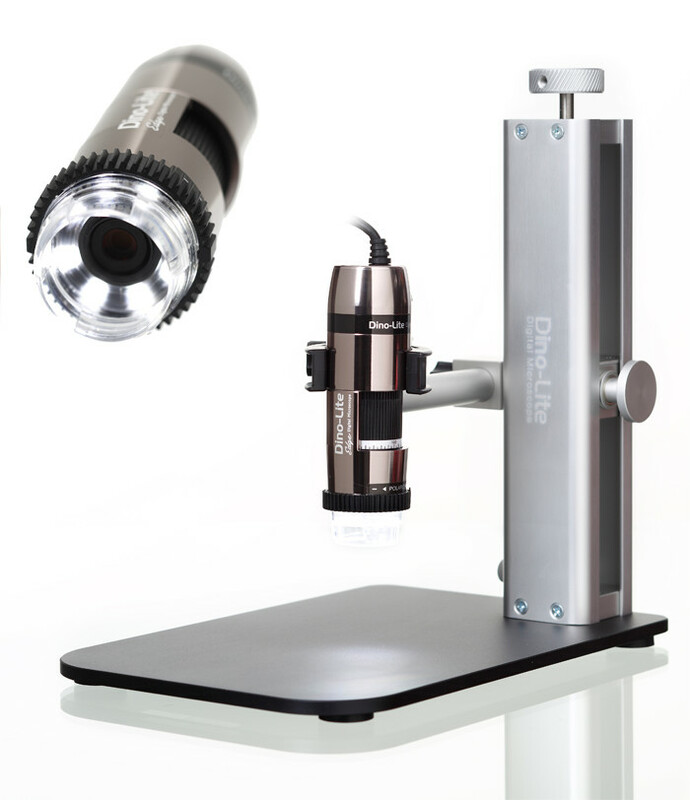 MicroBlue compound microscopes from Euromex in the Netherlands are entry level microscopes designed for education. This MicroBlue model, MB.1652, is equipped with a binocular head, 45° inclined 360° rotating, having WF 10x/18mm eyepiece and achromatic objectives, 4x, 10x,S40x and S60x. All optics are anti-fungus treated and anti-reflection coated for maximum light throughput. Featuring a 115 x 100mm mechanical stage with 55 x 22mm X-Y translation. Coaxial coarse and fine focus adjustment is provided with 200 graduations. Precision of 15 μm with 3 mm per rotation. Total travel is approximately 15 mm with adjustable rack stop to prevent damage to samples and objectives. The course adjustments are equipped with friction control. Abbe condenser N.A. 1.25 with iris diaphragm and filter holder. Adjustable illumination is provided by Euromex's proprietary 1W NeoLED™ illumination which offers increased light output than standard LED and longer life than conventional halogen bulbs. Supplied with an external 100-240 V mains adapter/charger and rechargeable batteries for corded or cordless use. View alternative models of MicroBlue range on the Similar Products Tab. Microscope, power cord, dust cover, spare fuse and user manual. All packed in styrofoam case.